Did you know what's so special about today's teenagers? They are the first generation who have grown up with social media. Along with the teenagers, a lot of older people are using various Social Media platforms including Facebook, Twitter, and Instagram. The generation born after 2000 has a very deep impact of social media on their lives. 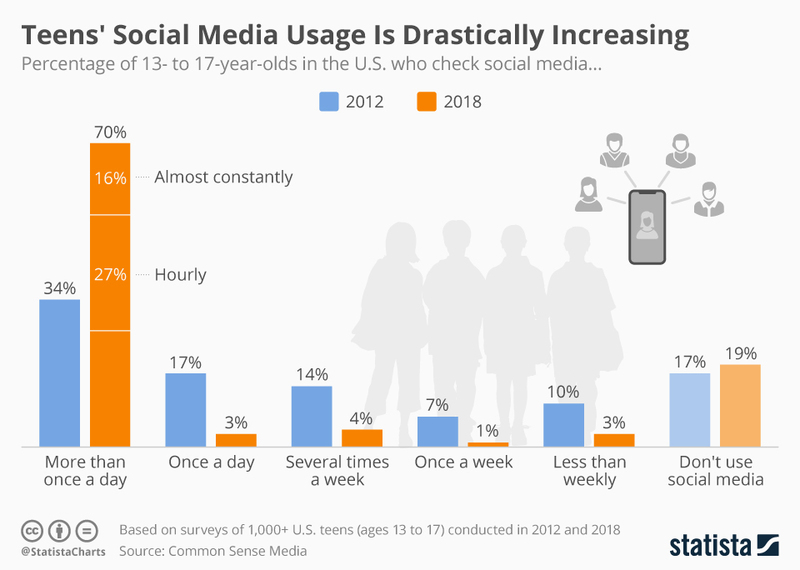 Common Sense Media reports a drastic increase in the usage of social media from 2012 to 2018 among teenagers. According to a survey, 70 percent of the teenagers check social media multiple times daily. This figure was 34 percent in 2012. 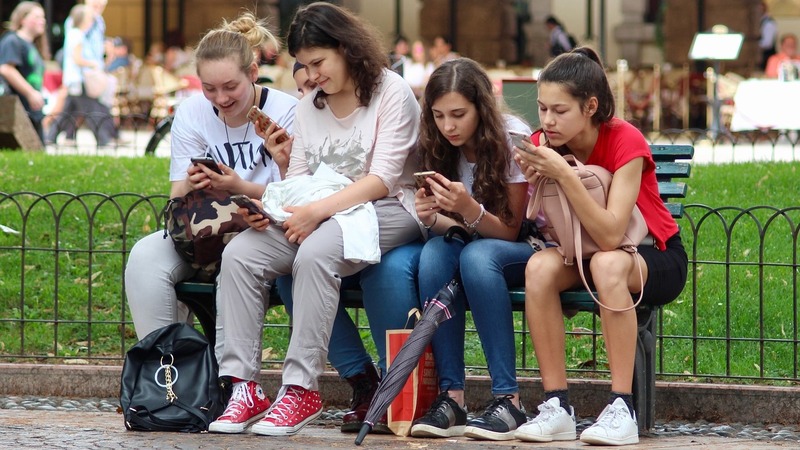 16 percent of the teens admitted that they check their social news feeds frequently while 27 percent of the teens check it after every hour. Although, you can't say what is the fair limit of the usage of social media, but checking for likes, comments, shares, and other social media stuff so frequently is not a positive thing. It affects the young people in a negative way. Along with other serious issues, the addiction to social media and smart devices is among the most important issues in the current technology era. If not addressed in near future, it will take a lot of time and efforts by the industry and the social media users to get rid of it.